Holidays offer us the luxury of getting away from it all. So, in a different way, do detective stories. This collection of vintage mysteries combines both those pleasures. 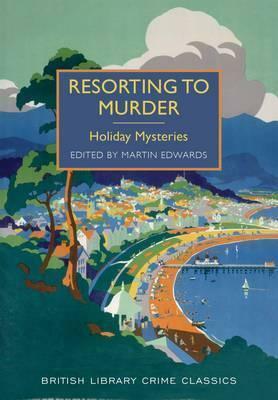 From a golf course at the English seaside to a pension in Paris, and from a Swiss mountain resort to the cliffs of Normandy, this new selection shows the enjoyable and unexpected ways in which crime writers have used summer holidays as a theme. These fourteen stories range widely across the golden age of British crime fiction. Stellar names from the past are well represented - Arthur Conan Doyle and G.
K. Chesterton, for instance - with classic stories that have won acclaim over the decades. The collection also uncovers a wide range of hidden gems: Anthony Berkeley - whose brilliance with plot had even Agatha Christie in raptures - is represented by a story so (undeservedly) obscure that even the British Library seems not to own a copy. The stories by Phyllis Bentley and Helen Simpson are almost equally rare, despite the success which both writers achieved, while those by H. C. Bailey, Leo Bruce and the little-known Gerald Findler have seldom been reprinted.